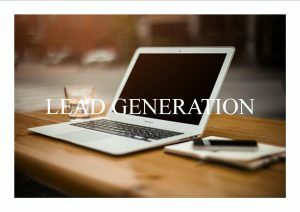 Lead generation is a vitally important part of a digital marketing strategy. If you don’t have leads, people don’t get your emails. Emails generate sales, foster public relations, and give you a place to talk to your customer. Having leads for those emails is a must. Getting new leads can sometimes be difficult. More and more people are choosing to not opt into emails and this can leave your lead list flat and your email delivery stagnant. People are more apt to share their emails with you if they feel like they are getting something of genuine value by sharing them. Here are a few creative ways to capture leads that convert. Odds are that you have at least a few success stories from thought leaders in your industry. Reach out to them and interview them. Turn that interview into a webinar, podcast, or articles. A conversation with a thought leader about how they became successful is a compelling and valuable piece of content. When you share this content, lead lock it. People who really want to see the content will be more than happy to give you their email in exchange for advice from a thought leader. Here is some additional information on using stories to generate leads. Making help videos is another great way to capture leads. If there is a problem that you see a large number of people who use your service having, such as “how do I create a Facebook page” or something of the like, make a video solving the problem. Not only do these videos provide useful information for your clients, they can also help you gather new customers and clients by helping them solve their problem. For the best payoff from help videos, create an education center page on your website with a few videos. Have people provide their email address to sign-up and use the free education center. This gives you valuable leads that can turn into new customers. 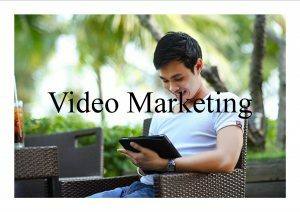 See more information on Facebook about creating and using video for your business. Quizzes are big right now. They are all over social media and have started to creep into display ads and email inboxes. Use the quiz trend to your advantage. 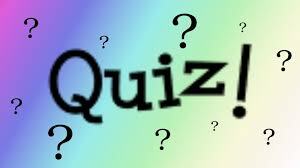 Quizzes, especially when they are created well, are a great lead generation driver. People love learning what kind of flower they are or which celebrity they act like the most. Usually, the more outlandish the quiz, the better. Quizzes are also great to push out on social media for some new engagement and boosted traffic and likes on your company’s page. Use the power of the quiz for all it’s worth and it will deliver a host of great results. Check out this short how to article by Josh Hayman. Have something you are doing that is working really well for you? Talk about it! Host a webinar about it or write a blog or whitepaper. People want to know what works for others and they are more than willing to exchange their email for that information. Be an information provider and people will start to look to you as an authority. Consider using the pieces as a lead generation ad on Facebook and test the response. Giveaways are one of the easiest and frankly the best ways to gather leads. When you create a great giveaway, people will happily give you their email address for a chance to win. Giveaways do require some careful consideration when you are using them for lead generation though. You have to be prepared that some people who enter the giveaway may have little to no interest in your company and won’t be good leads. That being said, giveaways are still a great lead generation tool and can give you a ton of leads in a short amount of time. This is especially true if you use social media to promote the giveaway. Here are some ideas on social media giveaways by Carlos Pacis at Wishpond to get you started. Want to learn more about getting great leads? Check out my done-for-you system today!